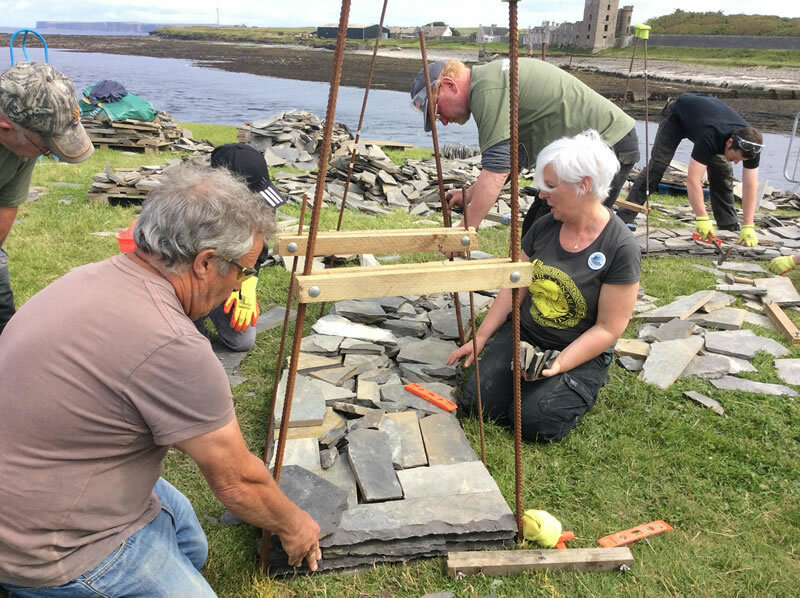 Northstone 58° Stonefest Dry Stone Walling Festival – 20, 21, 22 of July 2018 in Caithness, in the far north of Scotland. 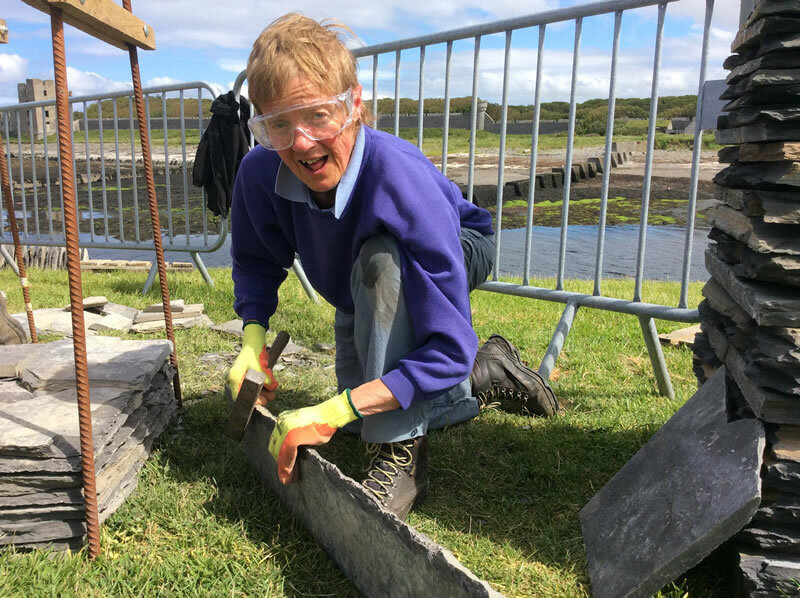 Northstone Stonefest, the Scottish International Drystone Festival and the only one in the UK is on for it’s third year on the 20 to 22 July 2018. 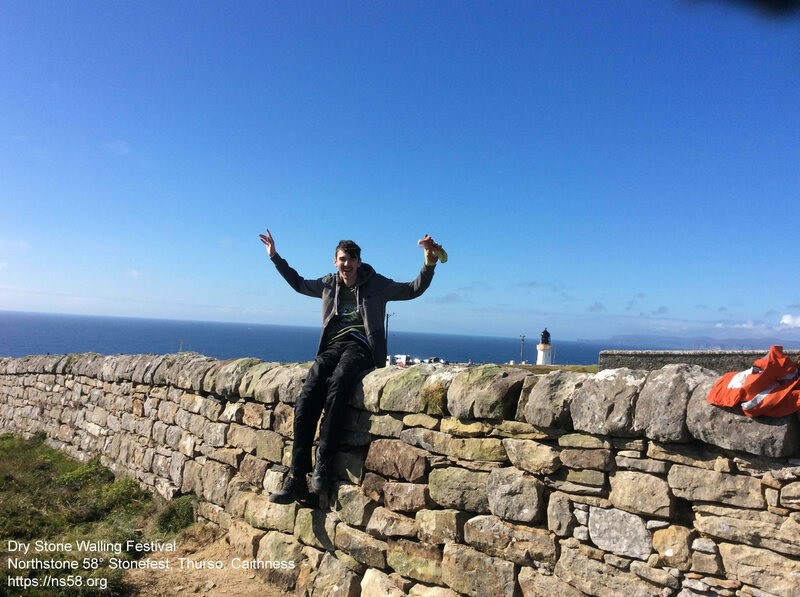 Scenic, fun and entertaining, it follows previous year’s formats . 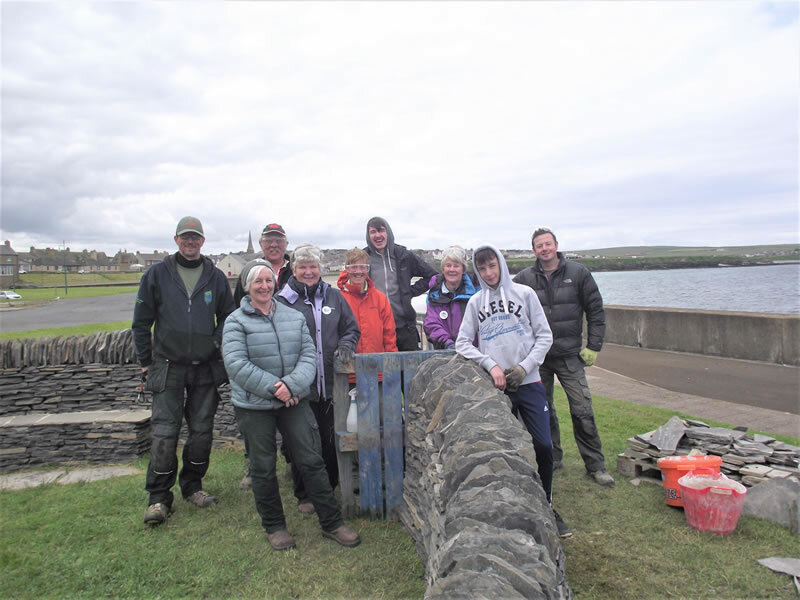 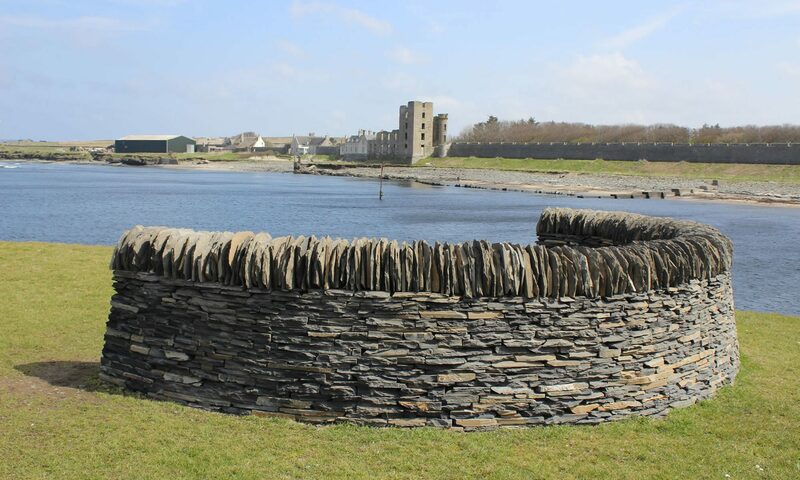 The team behind Stonefest in Caithness are all ready to go for this years Dry Stone Walling event and you can learn more about the planned activities on the Festival Itinerary page. 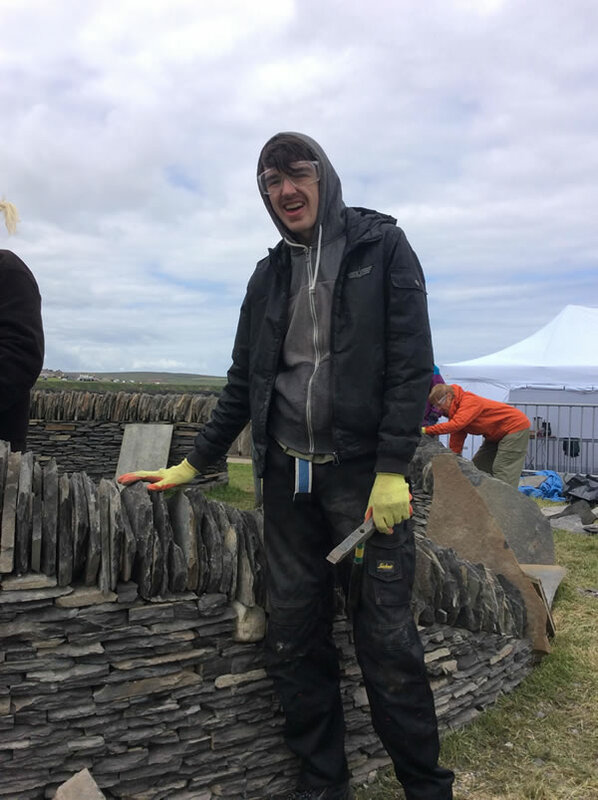 We all look forward to seeing you attend and participate at the festival where you will get a unique opportunity to learn about Drystone walling while creating a new heritage structure for everyone to enjoy, now and in the future. 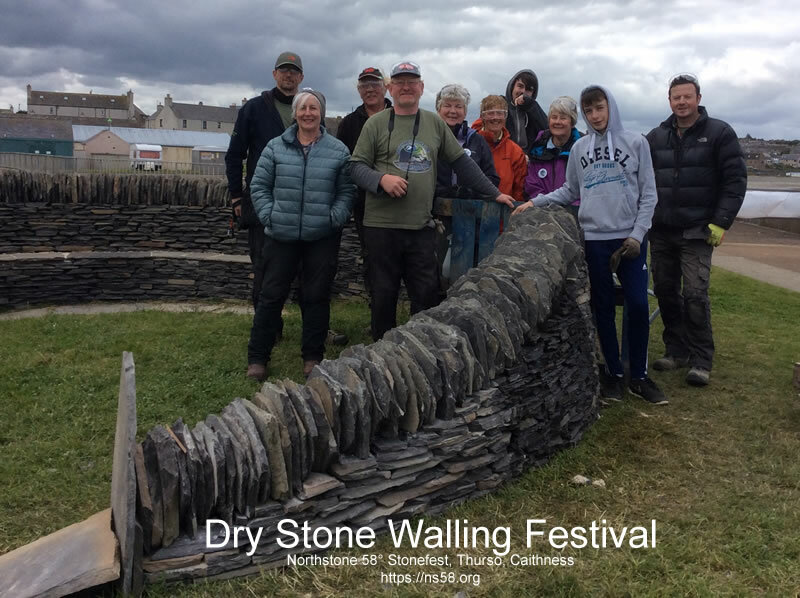 Northstone Stonefest 2017 was a great success with good weather and a great bunch of wallers! 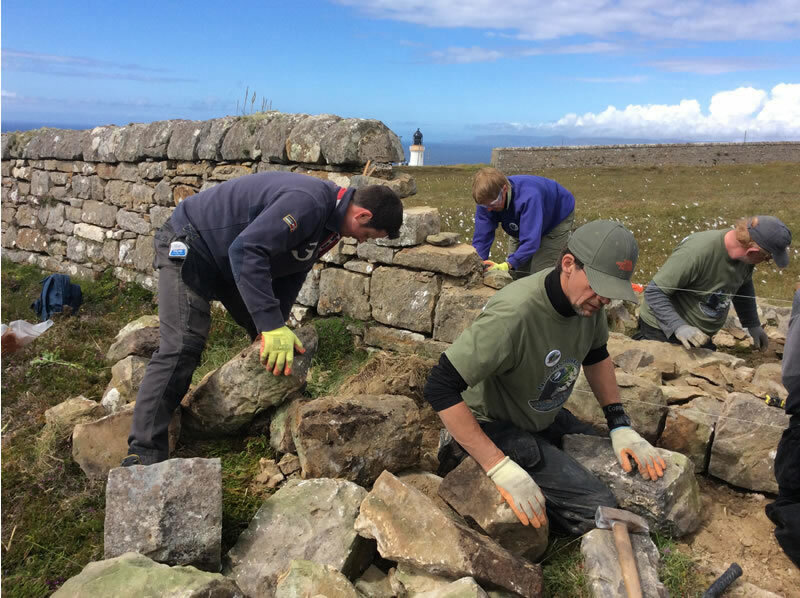 On Friday and Saturday we carried on adding to the round seat at the river mouth and on Sunday we rebuilt another gap in the 1830’s wall at Dunnet Head Lighthouse, courtesy of the RSPB. 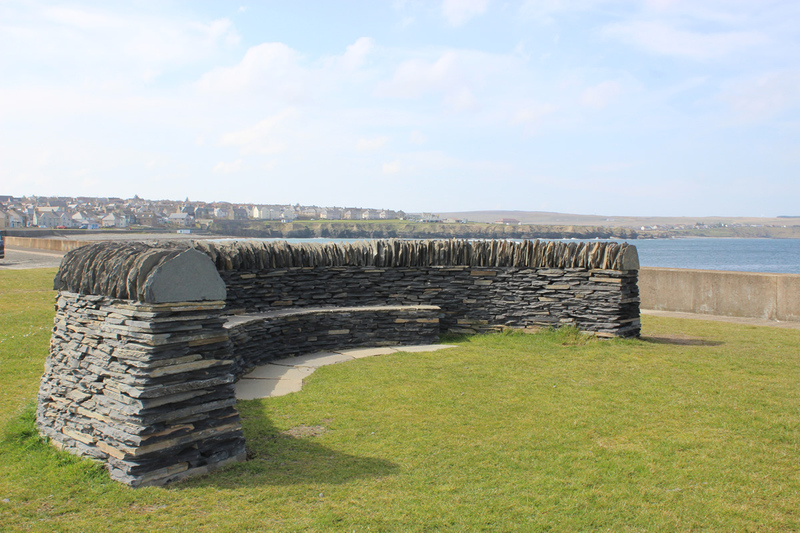 The talks on Friday evening went down very well, especially Geraint’s amazing talk about his Columbariums. 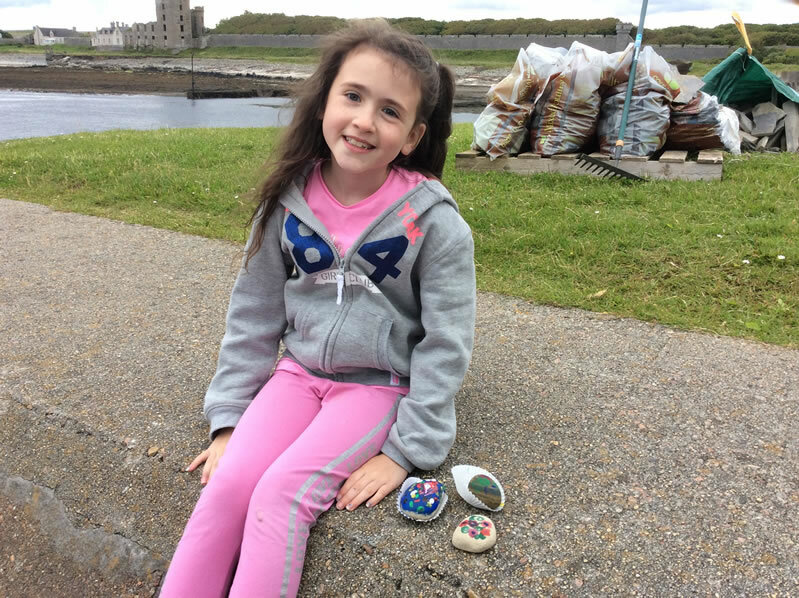 The children’s pebble painting workshop on Saturday was very well attended. 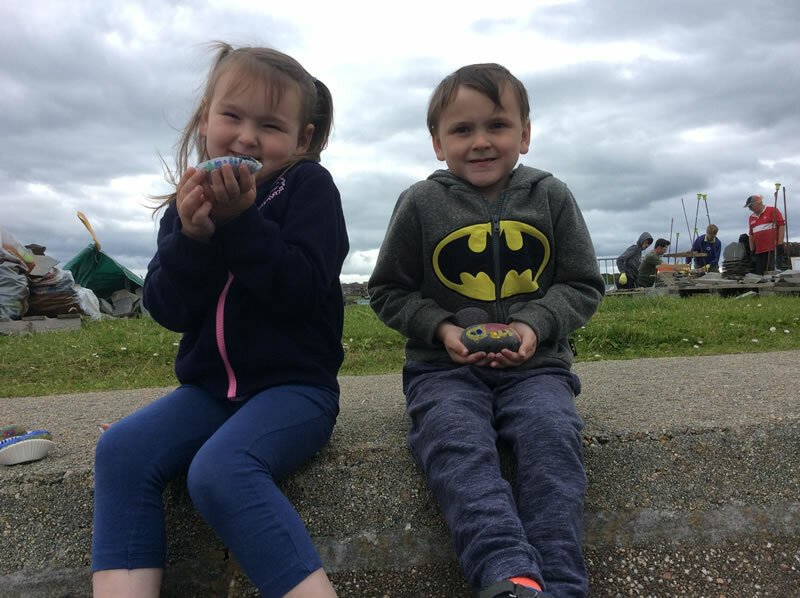 There was a very enjoyable group meal on Sunday. 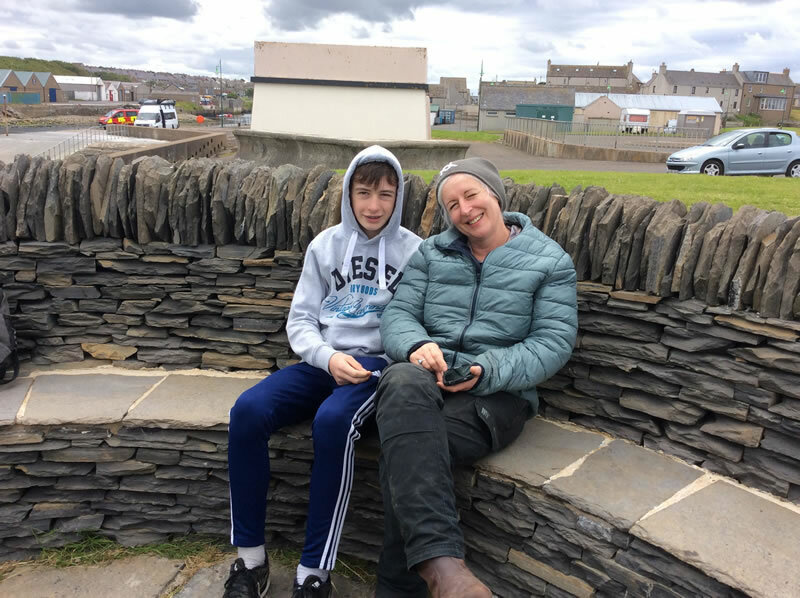 We also sponsored a young lad, Fraser, who had a great time. 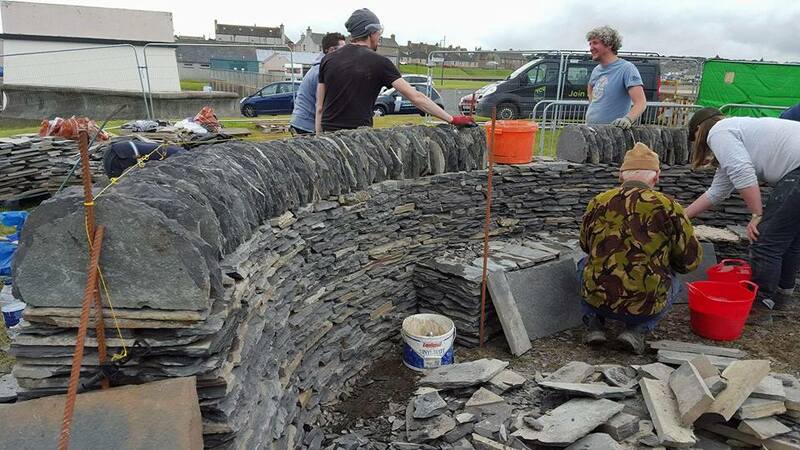 The weekend’s catering by Blue Door Diner was fantastic! 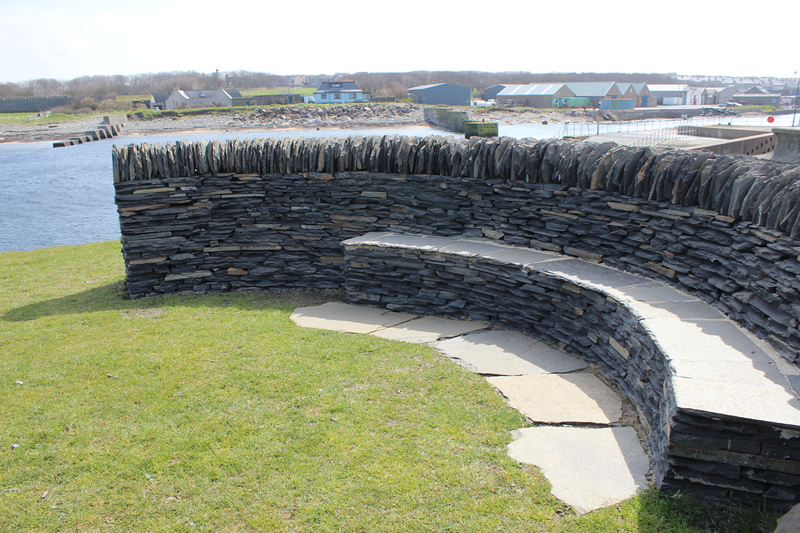 Drystone Walling Seat built during the 2016 FestivalThe second Northstone 58° Stonefest is the UK’s only Dry Stone Festival and also the world’s most Northerly, up here just above a Latitude of 58 degrees It is based in Thurso, Caithness, Northern Scotland and being held on the 7th to 9th July 2017. 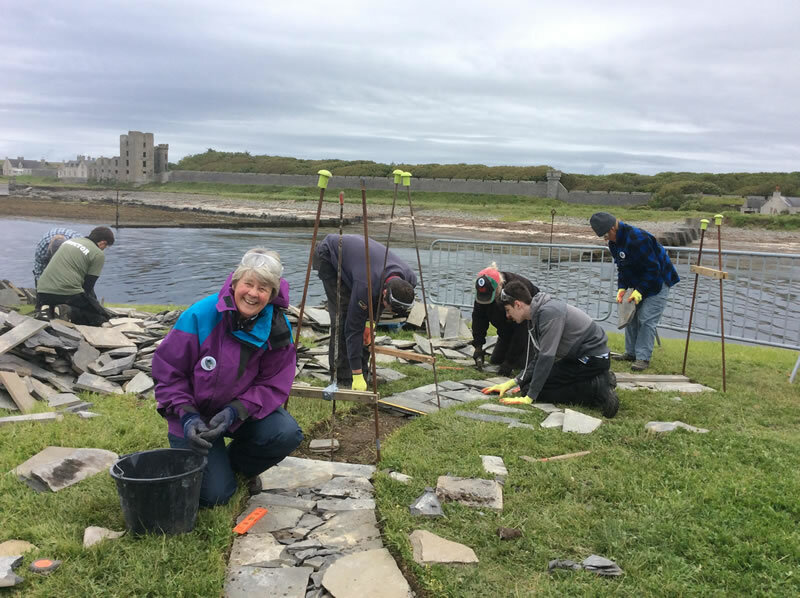 Itinerary for 2017 Festival. 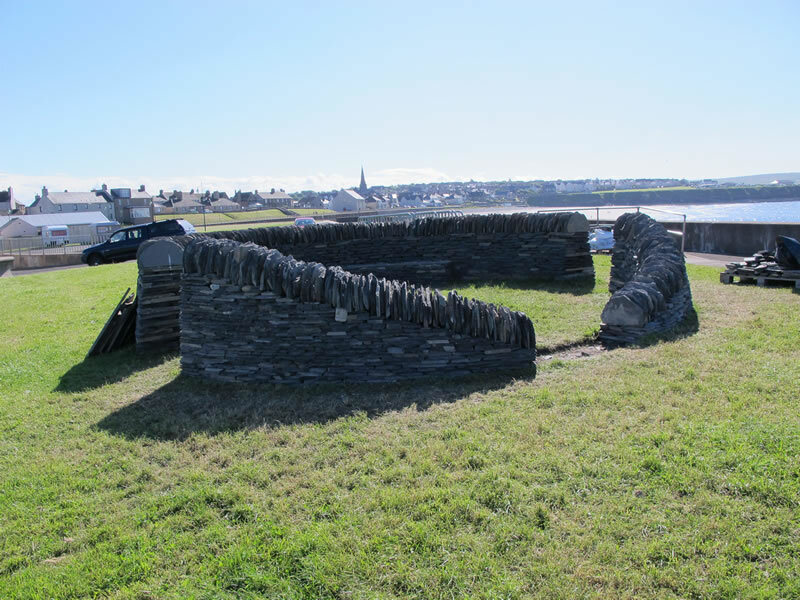 The festival is a not for profit event, organised by a Constituted Voluntary Group. 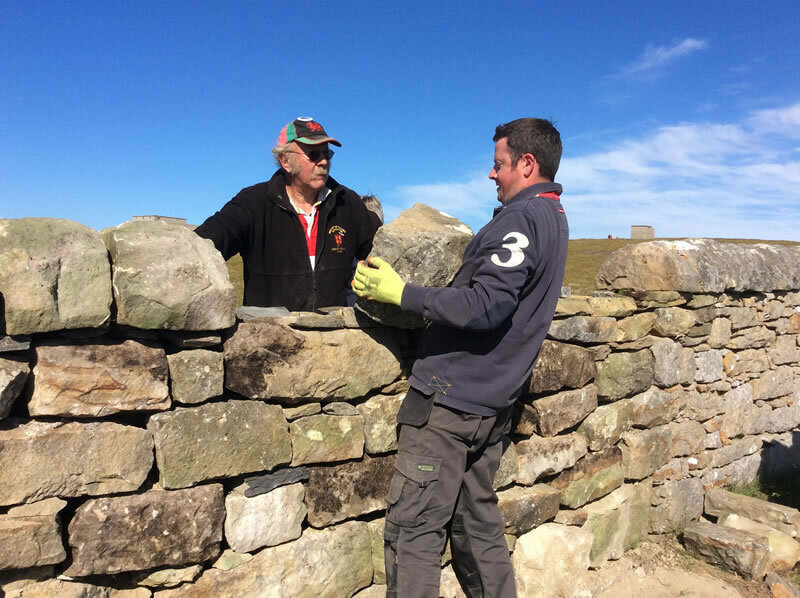 Its aims are to bring people together to enjoy participating in the ancient craft of Dry Stone Walling under qualified Instructors. 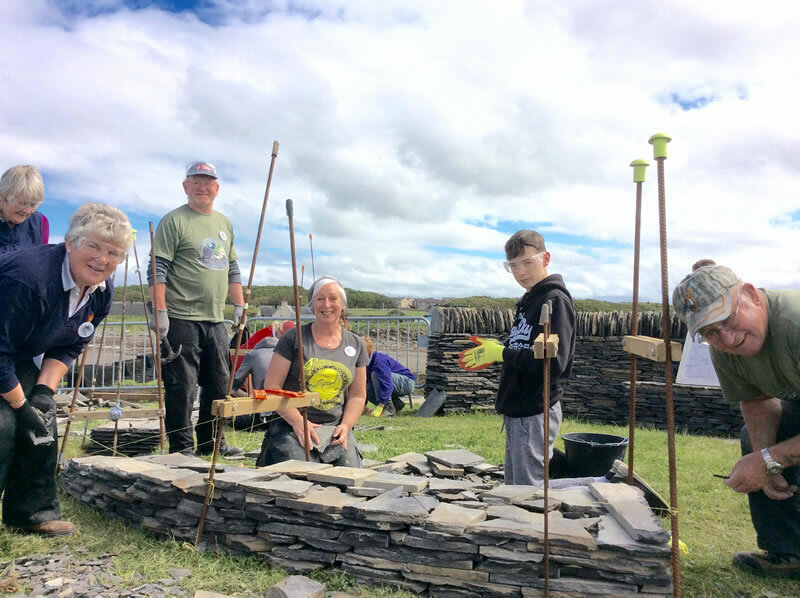 Activities are available for people of all ages and abilities. 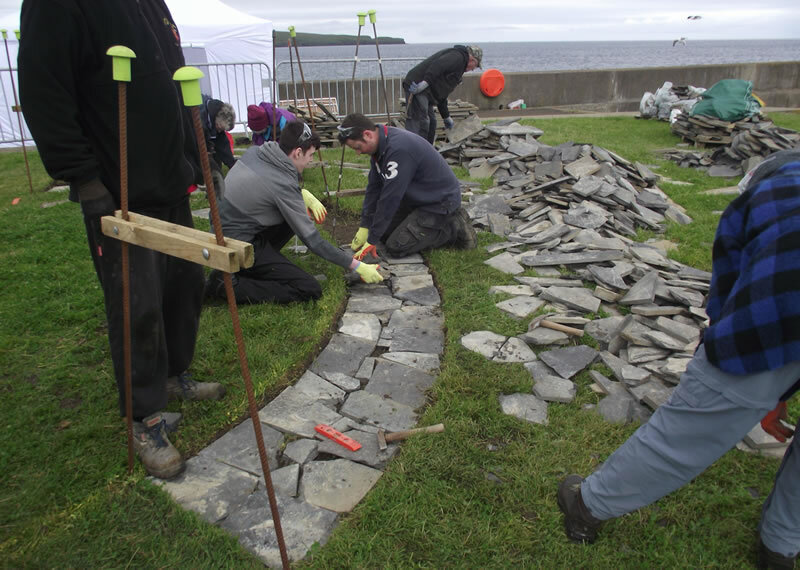 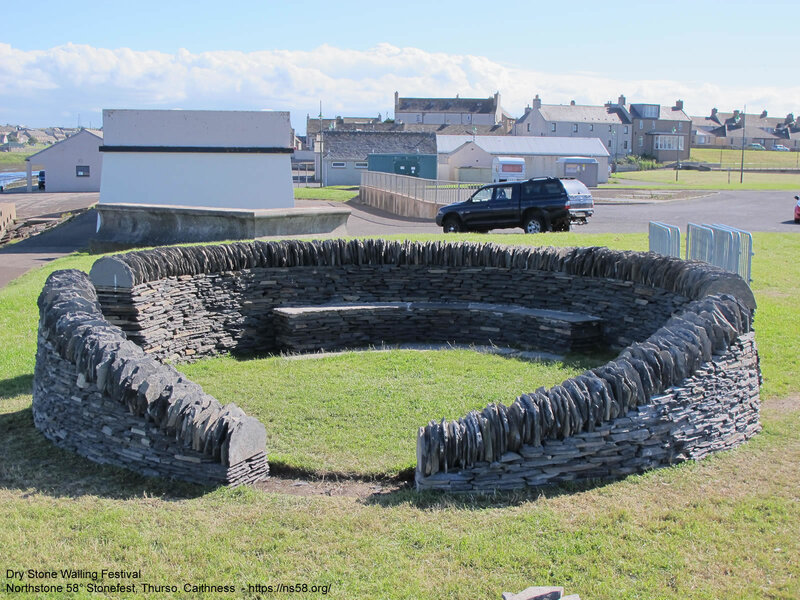 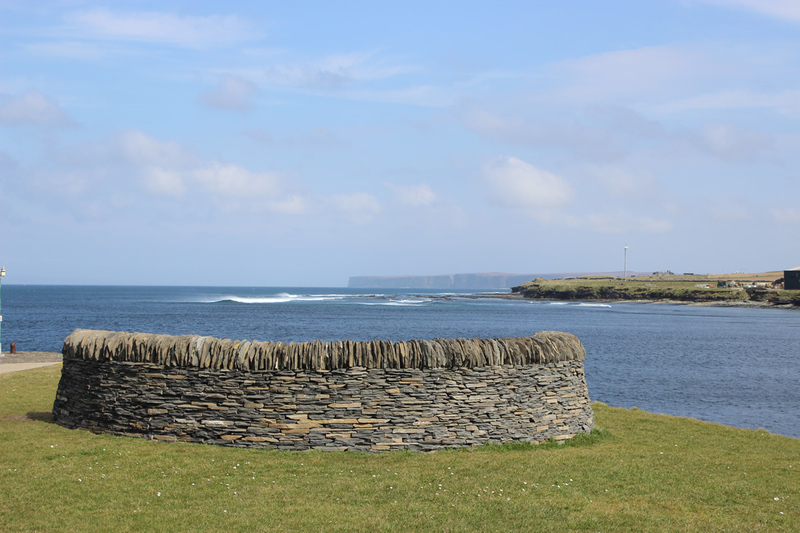 We will be building a stone feature based on the heritage of Caithness which will be left as a benefit to the community. 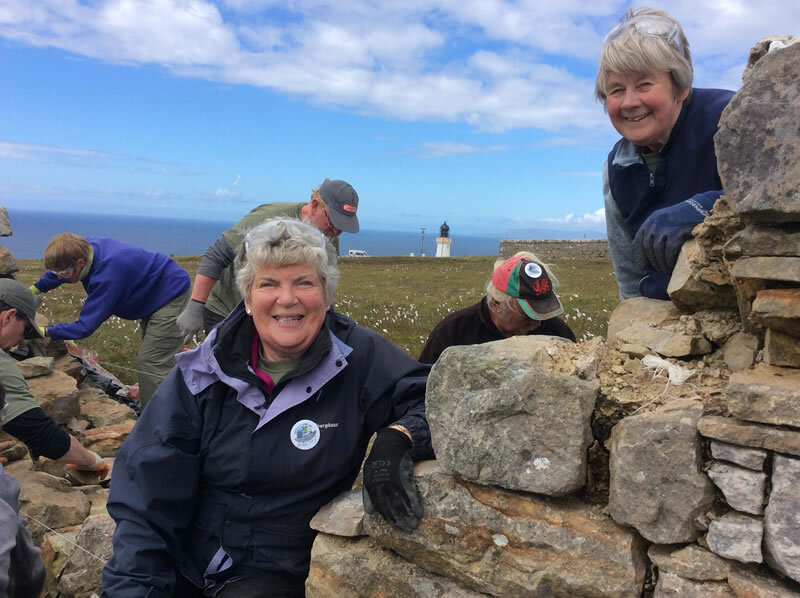 There will also be repairs carried out to the beautiful old walls at Dunnet Head by the lighthouse, the most Northerly point in mainland UK with breathtaking views across to The Orkney Isles. 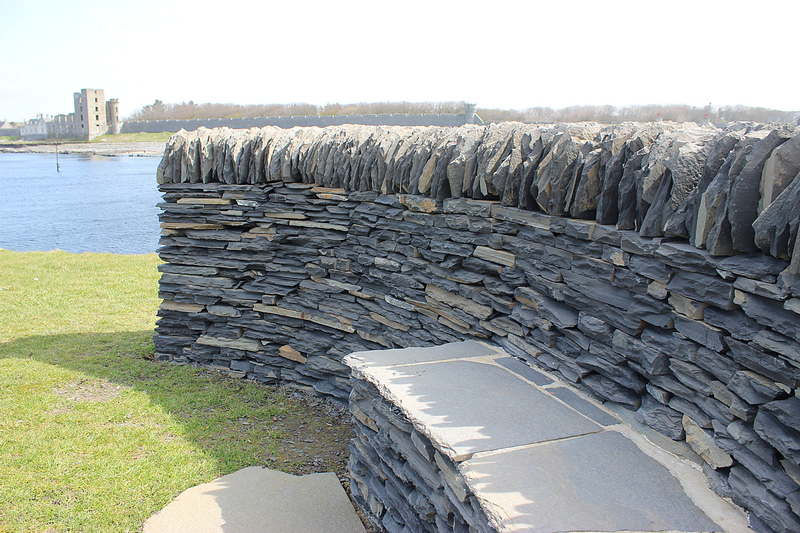 There are also illustrated presentations by three accomplished stoneworkers. 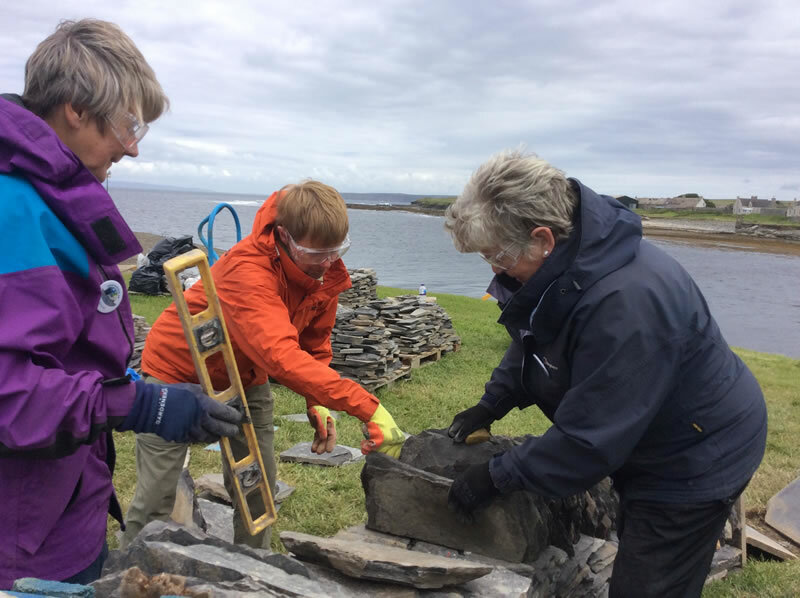 A programme of events will soon be available. 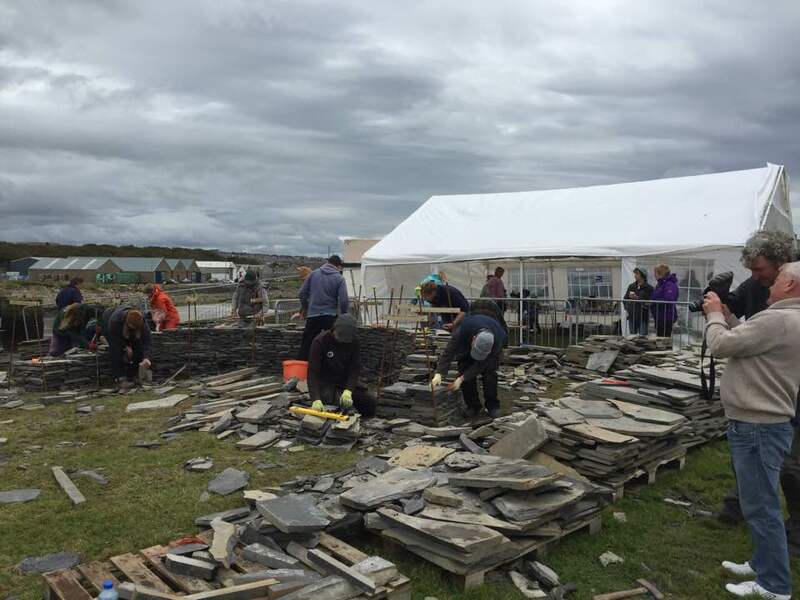 The Scottish International Dry Stone Festival at Latitude 58 degrees North in Caithness, Scotland. 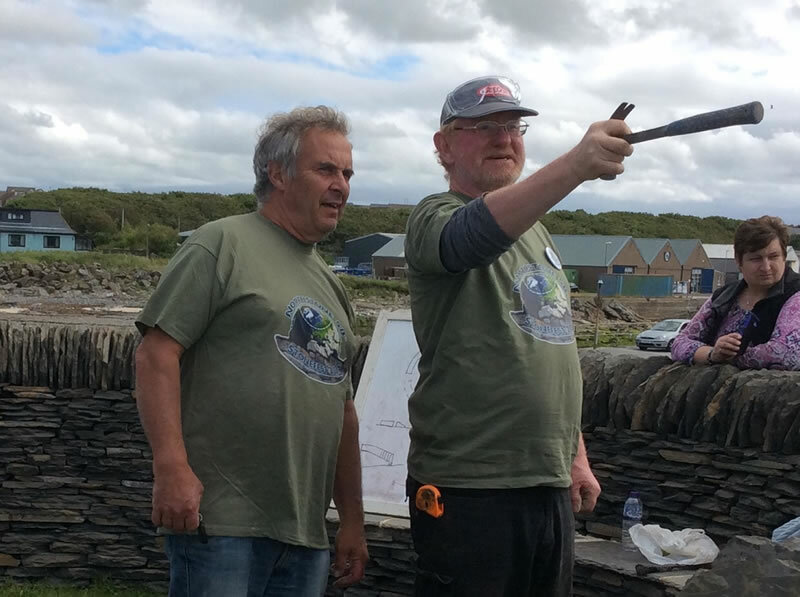 Next planned event is for Friday 7th to Sunday the 9th of July 2017. 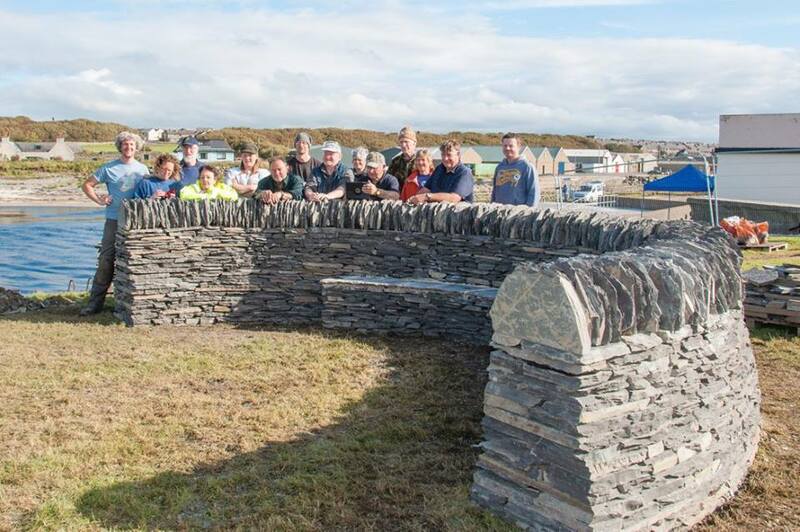 Pictures of the dry Stone wall seat built during the 2016 event. 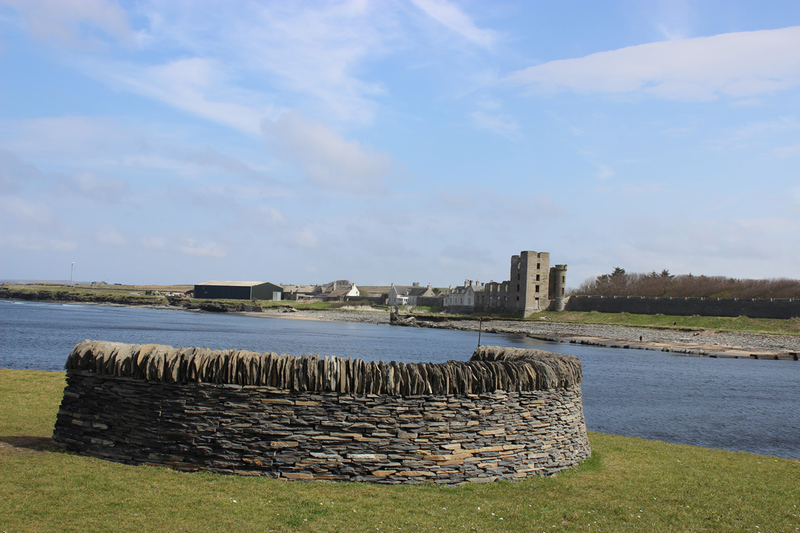 If you book onto the festival event we have a list of potential places to stay near Thurso on our accommodation page.